Making a sour fermented pickles is easier than it seems. Pickles ferment in a simple brine for about a week until they are half or full sour to your preference. 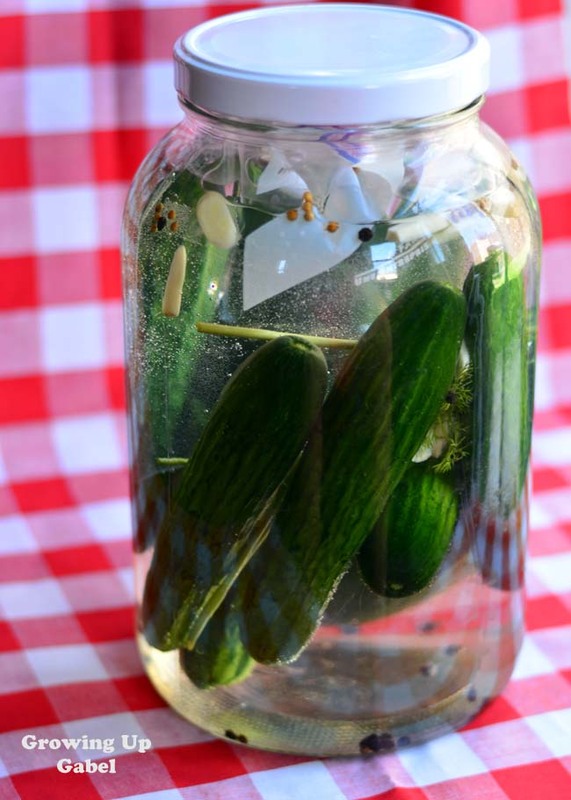 Fermenting pickles is a great way to preserve the summer harvest! The story of pickles in our home is very complex. 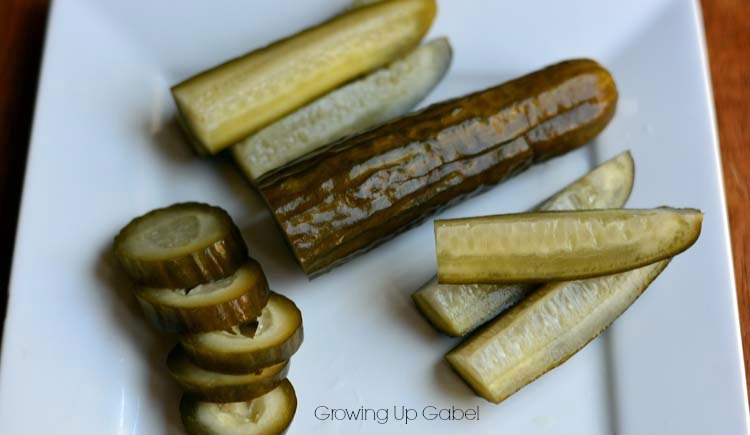 I grew up eating your basic dill pickles out of the jar. It was a major revelation when I discovered bread and butter pickles at a friend's house. I really never gave pickles or pickle recipes much thought. 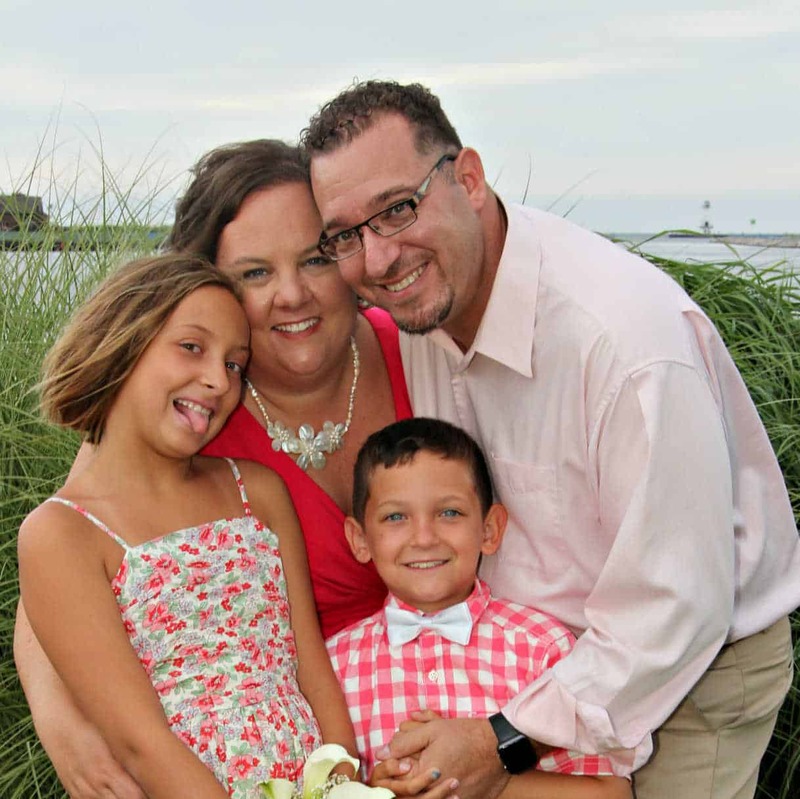 My husband was raised on Long Island in New York. His family is Jewish. He grew up eating half-sour and full sour pickles from the kosher deli, probably made right on the premises. When we got married our pickle histories collided. Seriously. Pickles (or the lack of) are a BIG DEAL around here! I refer to my husband as a “pickle snob” because he will not anything other than a full sour pickle. Full sours are hard to come by in our grocery stores and even if I can find them, they are expensive. I had to find a sour pickle recipe and make them myself. How hard can it be? It's a cucumber put in something, right? It turns out that his half and full sour pickles are actually fermented pickles whereas the dills I grew up eating are seasoned pickles. We let this batch sit for about a week and they were really still half-sour. Next time we'll go 10 days and see how they turn out. For this batch I used some smaller cucumbers I found at Costco and they weren't the best for pickling. I'm planning to pick up some proper pickling cucumbers at the farmer's market soon so I can preserve the summer harvest! Place pickles, garlic, coriander, peppercorn and dill in a large food safe container. In a bowl dissolve salt in water. Pour salty water over the pickles and spices. Fill a quart or gallon sized freezer bag about half full of water. Place on top of pickles to keep them covered with the salt water. Cover lightly and set aside. In a few days scum will start to form at the top of the water. Use a slotted spoon to remove. Pickles will be half-sour in about 4-7 days and full sour in about 7-10 days. Remove water bag and any addition scum. Refrigerate and pickles will keep for a few months. I make a lot of sour pickeles and many times they come out gassy. Instead of using/wasting a plastic bag, most of us here in Israel just use a large glass jar and then pack the top with fresh dill. You fill the jar up to the top of the dill and keep it topped up, as the brine has a tendency to expand (you put the jar in a bowel). Once the pickles are done, they are ready to go into the fridge, in the same jar. As for the woman who asked about the leftover pickle bring, no, you can’t re-use it. But you can use it in things like Polish Pickle Soup (which is AMAZING), and in other foods that require a salted water. It is packed with natural probiotics, and super healthy (except for folks on salt-restricted diets). These are just as I remember them tasting as a kid eating them with my Dad in New York! 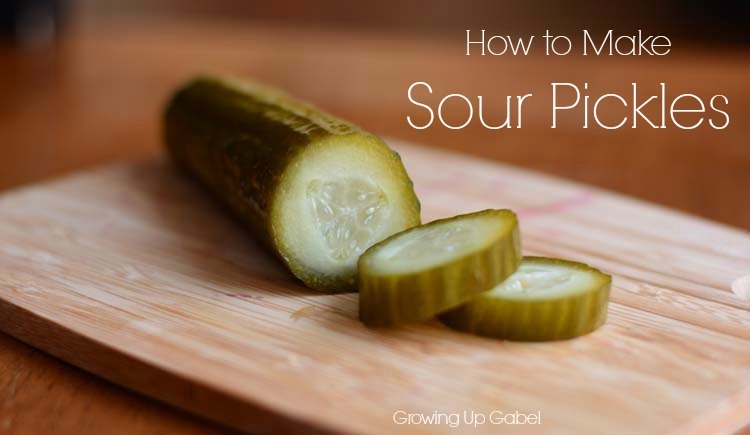 My husband and I have the reverse story of you and your husband where he was the one that grew up eating dill pickles and me with the full sours. Thank you so much for sharing this great recipe – it brings back good memories, I know my Dad would love have loved these! This is my second year making them and my brother will be visiting us in WI soon, can’t wait for his childhood flashback when he tries them! Ah, I LOVE this so much!! My husband was just complaining that I haven’t made him any this summer. I made pickles from your recipe the very first time I made sour pickles and they were perfect. I have to make more now, so my question is can I use the same brine from the first batch r should I just throw it out and start over again? I have never reused the old brine but that doesn’t mean it wouldn’t work. Vintage Fagan.I have to say, I have no earthly idea how a team that gives up 20 turnovers and 17 offensive boards can wind up with the ball and a chance to tie the game with plenty of time to set up a shot.It speaks volumes to what this team can and will do. Just finished my first batch and at 7 days they are delicious! I used sea salt and the water ended up quite cloudy. Making another batch today with pickling salt and we’ll see if that makes a difference. I did rinse the current batch and will add some fresh brine today because I just felt it would look more appetizing to set the jar out on the table. Thanks for this recipe. This will become a staple in my pickle recipes. Hi Debb! Thank you for stopping by to share! I’m so glad they are working for you. The liquid does get quite cloudy, but I noticed that in the store bought sours we buy as well. Let me know how the pickling salt works. I haven’t tried making them that way. Happy pickling! Still very good using the pickling salt. My brother, who makes lots of sour pickles, recommended rinsing the pickles when they were fermented to the desired sourness and then adding a TBS or 2 of vinegar and the strained brine back to the jar. Going to try that with this batch. I’ve never seen the hubby and friends like pickles so much! Oh I’ll have to try that trick your brother mentioned. 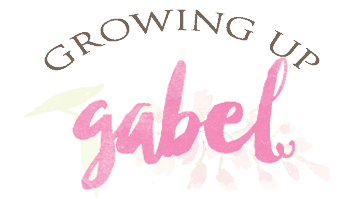 I’m slacking – I haven’t made a batch yet this summer! They’re bringing back good old memories. The very first time I ever tasted a brined pickle I was 11 years old. I was visiting my best friend’s grandparents on their farm in Illinois. We snuck down the stairs into the musty cellar where there were all manner of strange things covered with cobwebs. My girlfriend slid an old crock out from under the bottom step, pushed the scum aside and offered me a pickle. I hesitated because of the creepiness of it all, but after a bite of hers, I went in for my own. We wiped them on our shirt tails and crunched them down. I’m sure that we didn’t get away with sneaking pickles, the way our shirts smelled at the dinner table. But the joy of that plate of fried chicken and mashed potatoes and green beans from the garden . . . oh to be 11 again. What a sweet story, Debb! Thank you so much for sharing. A summer on a farm sounds amazing right now, for sure. I made these on Friday and had one today. Yummy, however they are SUPER salty. And I am a salt loving person. Bought another pack of the small cucumbers at the store today and am going to make another batch with less salt. I know the first batch will disappear quickly even if they are too salty. Yes, they are salty. I’ve found that to be the difference between a dill pickle and a sour pickle. Lots of salt! But totally change up the amount of salt to get them to your taste. Let me know how they turn out! I use to adore pickles when I was younger. A good friend of mine always had a jar in her fridge and I’d snack on them every time I went over. It’s been a long time since I had one and I bet your homemade version is way better than anything storebought. These look great! My MIL just got back into home made pickling, she use to do it when she was younger. I am going to have to send her this recipe the herbs you have added here sound incredible. I could eat pickles all day long! These look wonderful. I still haven’t canned pickles yet. These look great. I love the garlic in them. I love pickles! I have to admit, I had never had a bread and butter pickle until just a couple of years ago lol. I can’t wait to try your sour pickle recipe. Thanks for sharing! I’ve never been successful making my own pickles! Can’t wait to try yours! Ohhh, love it! I am going to pick up some pickles next week at the Farmers Market. I have to give this a try! We love our pickles here!! I’ve yet to make a batch of pickles that my husband likes. My cousins and brother have all loved the ones I’ve made but my husband isn’t much of a sweet pickle person. These sound right up his alley. I’ve never made pickles. However, I think once I do I’ll start with a recipe like this. I do enjoy sour pickles from a deli. I’ve never tried to make my own pickles, either, Camille, but I have pickled beets and okra and I imagined the process is much the same. I’m curious about what makes a cucumber a pickling one or not. I always thought the little ones WERE for pickling. I await your further instructions. These were labeled as cocktail cucumbers and I think they are even smaller and skinnier than a pickling cucumber. They certainly worked, but they weren’t quite as round or plump as I would have preferred!